Much like our recent post on Rewriting the Rules, Debra Jopson explains how she went from writing journalism for a living to writing fiction, and how our Faber Writing Academy course helped her learn to live in a fictional world. I’m a journalist who has made a living out of writing for decades, so it used to seem a perfectly reasonable proposition that one day I would flick a switch in my brain, a floodlight would shine on hitherto hidden reserves of creativity and shimmering fiction would flow from my fingers. I said as much amidst the revelry of a staff Christmas party to my colleague Susan Wyndham, the Sydney Morning Herald’s literary editor, a little over five years ago as we stood quaffing wine on a terrace, admiring the city lights gleaming on the harbour. I had blurted out that I was working on a novel. She’d mentioned that the London-based writing school Faber Academy was setting up in Australia and had suggested that I might enrol in its first six-month course for aspiring novelists. I waved my hands and dismissed the notion with a faux confidence which was possibly inspired by the Christmas tipple. Who needed to learn the craft, I said. Why not just wing it? As festive season euphoria receded, her suggestion seemed a very good one. The truth was that, stuffed at the back of a cupboard in my garret, I still had wads of ancient yellowing paper threaded with fictional words which I’d tapped out between newsroom shifts, child-raising and general household and life maintenance. These ancient sheaves on which I had scribbled during stolen moments cradled my hopes. Like so many who love reading fiction, I yearned to write a publishable novel. In a rush of unusual common-sense, I realised that I needed to learn how to craft such a large creative work, just as I had learnt to hunt, gather and shape my journalistic writing. I enrolled in the course. It was a tectonic shift; from dabbling to embarking on a life’s mission. The first commandment I adopted was ludicrously obvious. The difference between writers and other people is that writers write. Ergo, fiction writers write fiction. So, halfway through the course, I took leave from the newsroom. When the course began, I had 30,000 words of my story. I had my setting. I had begun to feel my way into my two main characters. As they began to take on their own lives, I learnt another commandment, with the assistance of my novelist guides, James Bradley and Kathryn Heyman. Story grows from character. Understanding character can grow from questions. What was the first thing my teenage hero Oliver did in the morning when he woke up? Did his flirtatious step-mother Babette believe in God? What was the deep, burning want that propelled each of them? Feedback from teachers and fellow students astonished me. They sometimes said that scenes I wrote based in fact didn’t ring true, while those I invented seemed very real. I began to understand that I had to fish for gold within my sub-conscious and to create a whole world in which the reader could live – for a time. In guest lectures, some of Australia’s best writers spoke with such frankness about their struggles and joys in writing their novels that they made the gathered students feel that we were fellow authors. One heartening common theme was that it is normal, especially in early drafts, to live within a fictional world that is all chaos. Some of David Malouf’s words had special meaning for me as a journalist with a craving to move beyond the quick-turnaround writing style required in the furious pace of a newsroom. ‘I write slow words for slow readers,’ he said. How marvellous, how luxurious, it is to be able to do that. My notebooks were once crammed with interviews and facts. Now they’re filled with overheard conversations – and daydreams. I have become a fiction writer. Debra Jopson’s debut novel Oliver of the Levant has just been published by Vintage Australia, and she completed the first draft while participating in the first Faber Academy novel writing course held in Australia in 2011. The next Writing a Novel courses at Faber Writing Academy start on June 14 (Melbourne) and June 21 (Sydney), led by authors such as Kathryn Heyman, James Bradley, Toni Jordan and Paddy O’Reilly, with leading industry experts including agents and publishers appearing as guest tutors. 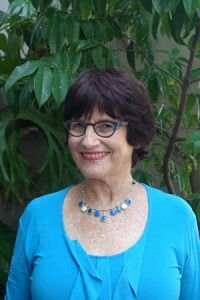 Born in Sydney, Debra Jopson spent part of her adolescence in Beirut and continued to visit her family there during the first rounds of the 1970s Lebanese civil war. She has worked as a journalist for major media outlets over four decades, most recently at The Sydney Morning Herald, where she specialised in Aboriginal affairs and major investigations, winning a Walkley award and numerous Human Rights Commission honours. Over the past three years she has devoted herself to writing fiction and long-form journalism, contributing to The Saturday Paper, Fairfax Media, ABCTV’s Four Corners, The Guardian, The Global Mail, and SBS. In 2014, she became the Walkley Awards Freelance Journalist of the Year.